Minister of Innovation, Science and Economic Development Navdeep Bains says Canada is betting on innovation in the auto sector. OTTAWA — Innovation Minister Navdeep Bains has named five technology groups — including one in advanced manufacturing — that will each get a piece of up to $950 million in what the government calls its "superclusters" initiative, a high-tech collaboration strategy aimed at fostering growth and creating jobs. The Digital Technology supercluster in British Columbia will use big data and digital technologies to unlock new potential in important sectors like health care, forestry, and manufacturing. Magna International and the University of Waterloo are two organizations that were part of the advanced manufacturing pitch. The supercluster concept is designed to bring together small, medium-sized and large companies, academic institutions and not-for-profit organizations to generate forward-looking, job-creating ideas and innovation. "What is a supercluster? 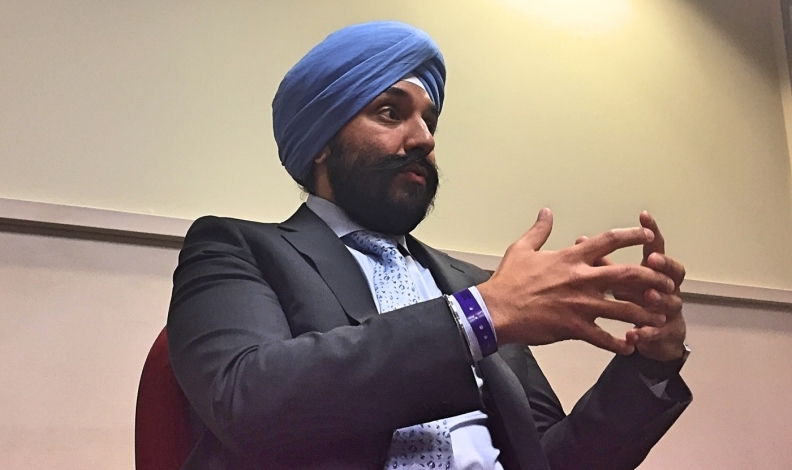 It is a made-in-Canada Silicon Valley that will create tens of thousands of jobs — that's what a supercluster is," Bains said Thursday as he unveiled the winners in Ottawa. "It's about collaboration as well. Look at this room — we have academia, business, you have small business and large business, and we have government — working together, promoting collaboration, supporting our supply chains and also developing and nurturing skills and knowledge and making sure that we pass that knowledge from one generation to another. "Superclusters — it's a job magnet." The government is planning on not only a stronger, innovation-driven economy as a result of the initiative, but at least more than 50,000 jobs, he added. “Hopefully, industry drives how the money is spent in order to have the best effect,” Volpe said. Thursday's announcement ends a nine-month contest central to the Liberals' so-called innovation agenda. Last fall, the government narrowed a field of about 50 applicants to nine finalists. The money will be distributed over five years to the winners, which will be required to match the federal funding they receive, dollar for dollar. The Liberals faced criticism over its plan, including concerns over the government picking winners and losers, but Bains defended it by saying the superclusters will be led by industry. The government hopes the leverage from its $950-million commitment will help unlock business investment in research and development as a way to lift the economy.